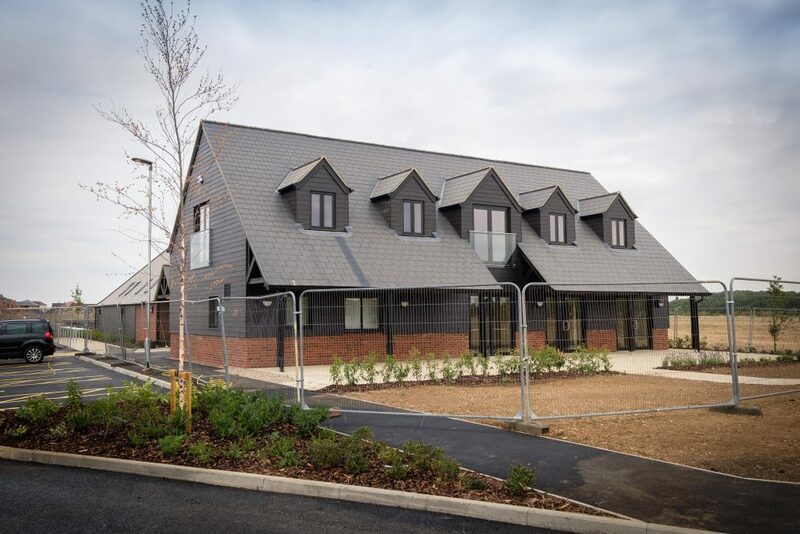 Works in Great Denham for David Wilson Homes are now complete! After procuring the project in a competitive Design & Build tender process, works commenced on the 25th of September 2017 and lasted 39 weeks. 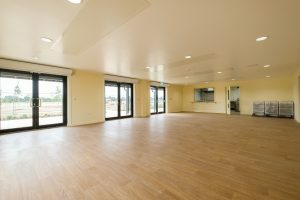 The Sports Pavilion, located south of Anglia Way (Great Denham, Bedford) boasts two storeys, with a mix of Beam & Block, as well as traditional timber on the ground floor. Within the 39-week time frame, we, teaming up with other companies, were able to construct a prestigious build, with a high-quality finish. 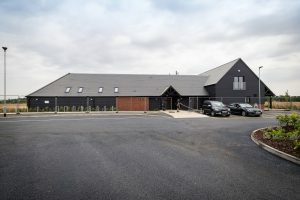 The Pavilion and Clubhouse features a multiuse game room and a carpark, for ease of access for the public. It’s all inclusive, sporting a kitchen, as well as multiple, separate male & female restrooms and showers- including showers and restrooms that are specifically tailored for wheelchair access. Satisfying the requirements of the client was S.A.C.’s main priority whilst leading the project, and we are certain that we have delivered the best possible result. 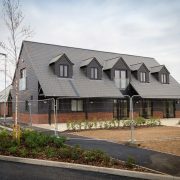 The accommodation’s build features traditional strip footings, as well as CHP heating and UPVC windows. 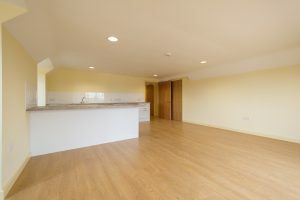 The ground floor includes an entrance foyer, as well as a kitchen and café for the public’s enjoyment. 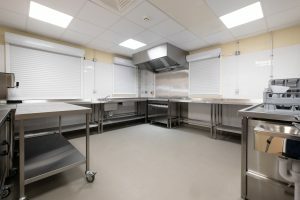 Additional aspects of the build are a three-bed rangers flat, a ranger’s office, equipment, stores and a cleaner’s room. Juliette balconies, bin and cycle stores, a solar tube and a plant room all add to the personality of this build. Programme: 38 Weeks with an additional 5 Week Lead in Period.